As I circle around the block of a charming suburban neighborhood in Broomfield, Colorado, I pull up to a house with an open garage full of motorcycles. I grab my camera and shut the door of my car as I am greeted with an enthusiastic smile and friendly handshake from my pal, Jeremy Lacy. 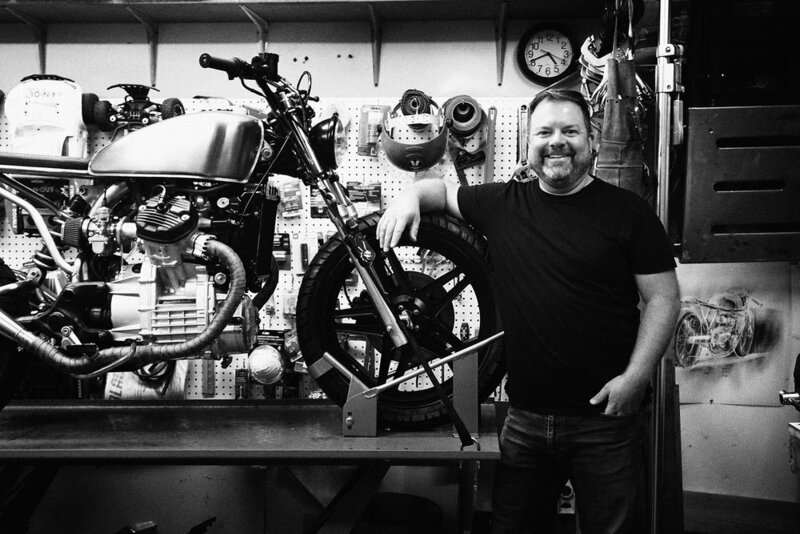 Jeremy is an exceptionally talented industrial designer and artist who eats, sleeps and breathes all things moto. I’ve known Jeremy for a few years now, and although I have always been a fan of his work, we have never had the opportunity to hang out one-on-one. He welcomed me into his home with open arms and gave me a tour of his studio. 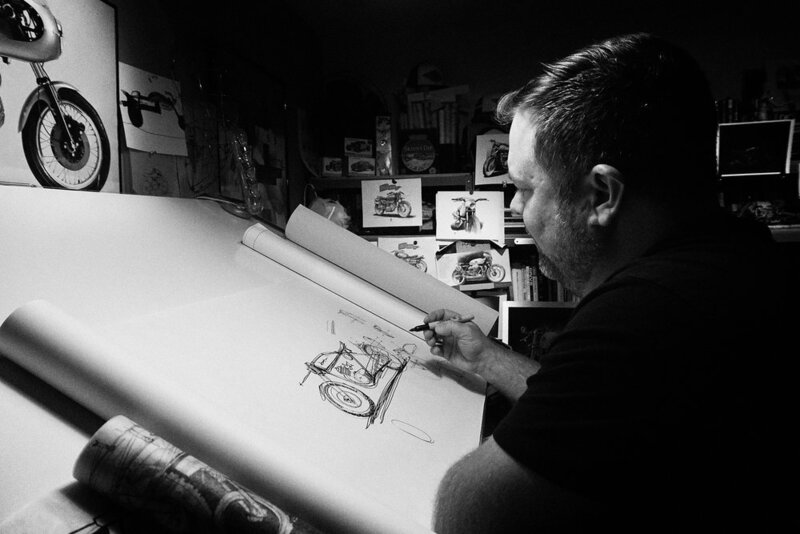 Perusing through the garage amongst a variety of dirt bikes, street bikes and custom builds in different stages, my eyes fixate on a desk plastered with sketches and inspiration hanging on the walls. This is Jeremy’s happy place. He tells me this is where he finds his Zen. 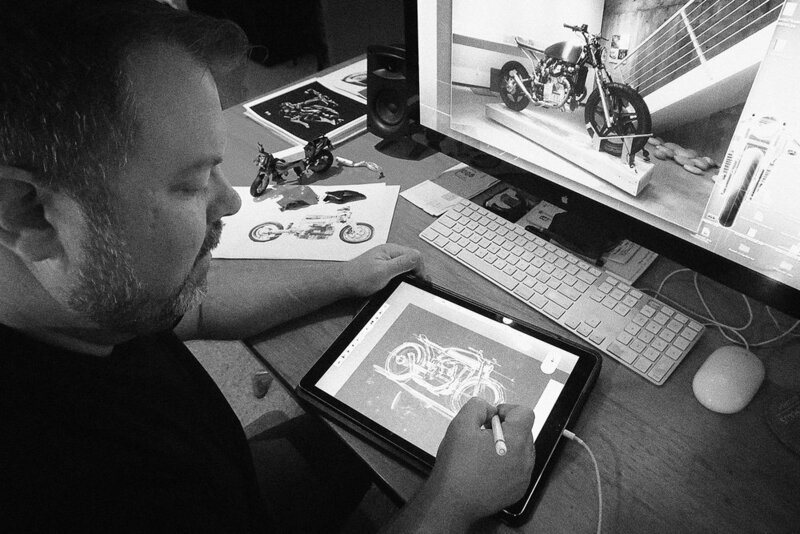 Where he can get lost in his head in the midst of his motorcycles and his artwork as he sketches out his next creation. 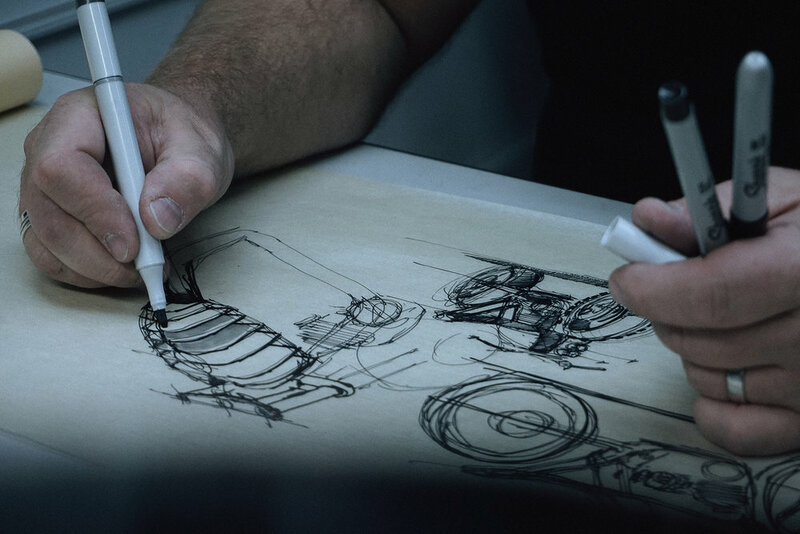 Jeremy works a day job at an industrial design firm to pay the bills, but it’s clear that the relationship between his artwork and these two-wheeled machines is more than just a hobby; this is a passion that runs deep. On top of being an amazing artist, he might be the nicest, most down-to-earth person you will ever meet. 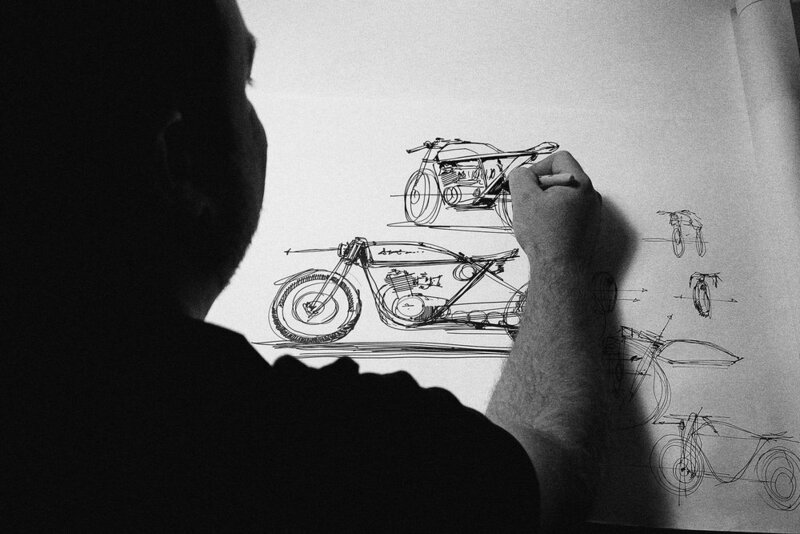 In the current world of Instagram “influencers” and trendy motorcycle wannabes, it seems increasingly harder to find genuinely talented and passionate people like this. The world could use more people like Jeremy Lacy.